Want more ideas in less time? Want creative solutions for urgent problems? Want to define goals more quickly, achieve them more efficiently, and feel a greater sense of control and satisfaction while you work? A lot of my earlier books on Tarot were essentially books on using Tarot as a tool for visual brainstorming. If you’re not familiar with visual brainstorming techniques, you may be surprised to discover that, as a Tarot reader, you’re already on top of one of the hottest productivity trends. Visual brainstorming uses images to inspire ideas. With a question in mind, participants look at a picture, make associations, and come up with answers. When relating their question to a randomly selected picture, participants tend to see their question in new and surprising ways. In other words, the random input helps participants make unexpected leaps in logic. As early as the 1980’s, English teachers encouraged student writers to consider how their topic might relate to a randomly-chosen photo: a tree, a skyscraper, a mountain. Marketing companies use random images torn from magazines to inspire ideas for everything from promotional campaigns to new product lines. Roger von Oech’s Whack Pack, one of the most popular brainstorming tools on the market, makes it easy for users to randomly select cards imprinted with creative questions and engaging illustrations. Today, companies use visual brainstorming to generate new approaches, broaden their perspective, and create action plans — with good reason. As the already frantic pace of business increases, visual brainstorming helps employees make better use of the two most precious corporate resources: time and money. The unexpected associations generated by a visual brainstorming session allow employees to see familiar projects with fresh eyes. Brainstorming sessions dedicated to “What If?” questions help work groups anticipate problems before they arise, saving time and limiting costly mistakes. A few minutes invested in a visual brainstorming session designed to test an approach can save a company hours of wasted time. In short: visual brainstorming speeds planning, broadens perspective, and enhances creativity. Companies that adopt visual brainstorming get more work done in less time. How Can I Get Started with Visual Brainstorming? First: define your question as clearly as possible. Be specific about what you want to know or achieve. Write your question down. Questions beginning with the words “How can I?” or “What can I do in order to?” are particularly good, as they force you to explore solutions incorporating personal responsibility. Next: Get some random visual input. Tear some pictures from a magazine. Use Google to call up random images. Remember, though: pictures torn from magazines can be awkward to handle, hard to find, difficult to store, and expensive to replace. Pictures pulled from the Internet won’t be available unless you have an active Internet connection. A better solution? 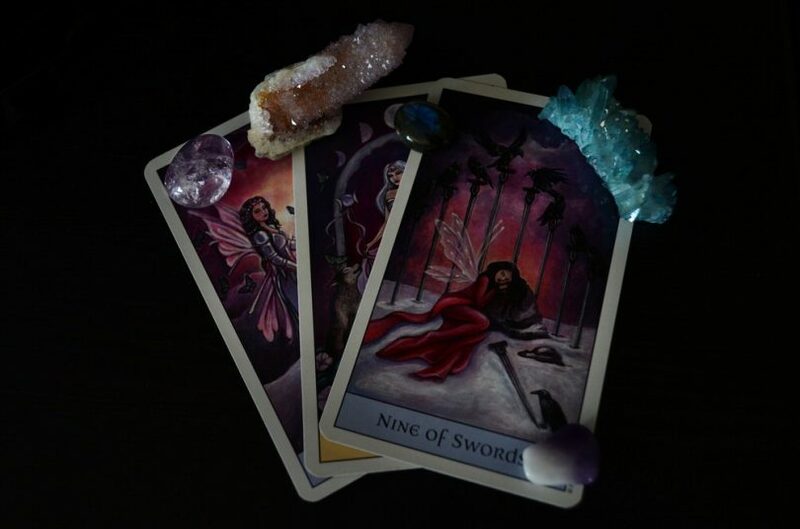 Grab a Tarot deck. With symbolically rich illustrations on every card, Tarot decks make great visual brainstorming tools. The cards fit easily into a pocket, purse, or briefcase. If lost, a replacement deck can be purchased from almost any bookstore for less than twenty bucks. 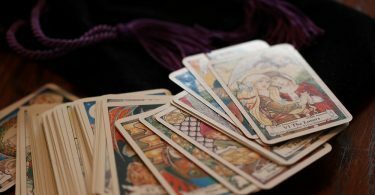 Best of all, Tarot cards are an “always on” technology — you don’t need batteries or an Internet connection to work with Tarot. Shuffle the cards, draw one, and you’re ready to go. Finally: Ask yourself how the image relates to your question. What are the people in the illustration doing? What are they thinking or feeling? What kind of approach to your question does the card suggest? If they could speak, what advice would the people on your card offer? What memories, experiences, or achievements does your card call to mind? How do these associations relate to the question at hand? Send them to me! I’ve written a series of books applying visual brainstorming techniques to everything from business challenges to love and romance. If I can, I’ll be happy to help.